The next Coffee/Tea Chat will be held on Wednesday, July 31st at 12:00 PM ET. We are looking for network leaders to serve on the NCHN Executive Coaching Team. We will be providing training next week, Tuesday, July 23 and again on August 13 for NCHN members interesting in serving their Association in this role. Click here to learn more about the NCHN Executive Coaching Training. This column and the previous column discuss strategories for engaging your Board. 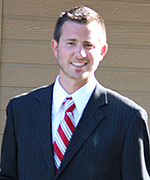 Jon Smith is Executive Director of The Hospital Cooperative in Pocatello, Idaho. His network, The Hospital Cooperative, has been a member of NCHN since 2002 and was recognized as Outstanding Health Network of the Year in 2012. Jon currently serves as Vice President of the NCHN Board of Directors and served previous terms as Treasurer. He has been very involved in NCHN through his Board service, as well as participation on various committees. This week, we caught up with Jon to uncover the best kept secrets at THC and to find out exactly how he manages to stay so involved with NCHN while also serving as Executive Director of a successful health network. As reported in the National Law Review, “Representative Doris Matsui (D-CA), a member of the Energy and Commerce Committee, indicated that she intends to introduce legislation that would create a workable federal definition for telehealth services.”1 Representative Matsui’s effort to establish this definition of telehealth will become a step forward in the unfolding implementation of the Affordable Care Act (ACA). NCHN members believe that by sharing best practices, all Networks increase their viability. In these NCHN sponsored Group Executive Coaching calls, we'll examine the rapid changes everyone is experiencing; assess our Network strengths; and consider creative solutions. The calls are designed to support leaders of new and emerging networks by leveraging the years of experience of current and former NCHN members. The first two Group Coaching sessions for network leaders will be offered in July and August via conference calls. Dr. Mary Kay Chess will serve as the facilitator for the Group Coaching sessions. If interested in participating in the NCHN Group Executive Coaching calls please let Rebecca know. Handouts and participation information will be distributed the week of the call. July Call Topic: Leadership Coaching to Support Change: Where is your Network Now? During this session, Coachees consider the metrics that determine how their Network is currently performing and how success of the Network is measured over time The Coachees will learn how to design "mini change actions" supporting a proposed Network change. August Call Topic: Leadership Coaching to Facilitate Change: Can Your Network Embrace Change? During this session, the Coachees share their "mini change actions" and the outcomes. They ask for specific feedback from their colleagues in order to understand additional approaches/actions to support on-going changes in the Networks. July Coffee/Tea Chat with Mary Kay Chess, Ph.D.
Network leaders are very experienced in understanding "change." Each of your board members bring a unique culture and set of issues to the Network Board meetings. You facilitate the diverse needs and opinions around the boardroom table on a regular basis. This time however, the changes are also coming into each rural community from state and national. The changes will most likely be very significant and will roll out fairly rapidly. We'll spend the hour pulling together a proactive assessment of possible outcomes: intended and unintended consequences. There is no pre-work needed for this call. You each have been in many meetings where these "changes" have been considered. As a learning community of network leaders, this is your time to pull your perspectives into focus.